Ruth Baumeister is a researcher, critic and teacher of architecture theory and history, originally educated as an architect, based in The Netherlands. She is the editor of Fraternité Avant Tout – Asger Jorn’s writings on art and architecture, 1938-1958, 010 Publishers, Rotterdam, 2011 and she is currently working on the publication of her doctoral thesis L´Architecture Sauvage. Asger Jorn´s Critique and Concept of Architecture, forthcoming Spring 2013, nai010 Publishers, Rotterdam. 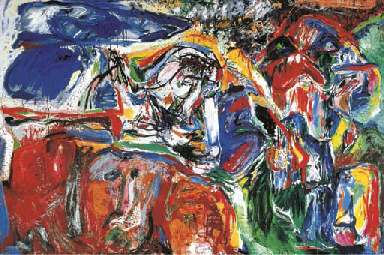 Apart from her extensive knowledge on Jorn, and her efforts to make Jorn’s writings accessible to a broader audience, I appreciate what she does because whenever she gets to speak about Asger Jorn, she tries to connect his thinking and practice to the contemporary. HdB: In Fraternité Avant Tout you devoted a paragraph to ‘the relevance of Asger Jorn’s writings today’ which you conclude saying: “Jorn’s reflection on the significance of the image not only as a means to express artistic imagination but to produce realities, and his emphasis on the form as the built material articulation of such, thus has the potential of making an interesting contribution to the contemporary discourse in architecture theory.” (p.11) Could you summarize the arguments you use to build up to that conclusion? RB: “In the beginning was the image”, is the title of a painting Jorn did in 1965 and like many of his titles this is a direct reference to the Bible, “In the beginning was the word” as a way of explaining human existence in the world. By doing so, he is claiming that the image is more important than thought, or, given the fact that he articulated this during the 1950ies, you can also argue that he demanded to give art preference over science or, at least tried to change the relation between the two by diminishing the dominant functionalism of science. This has certainly a high relevance for us living in what Guy Debord 1967 called the “Society of the Spectacle”, in which authentic social life has been replaced with its mere representation. In terms of architecture the representation of a building in mass media has become more important than the building itself. That is simply a fact today. But there are many more issues he raises which are also connected with the discussion in architecture theory today, identity in architecture and urbanism, architecture as an instrument of social policy, parameter design, etc. 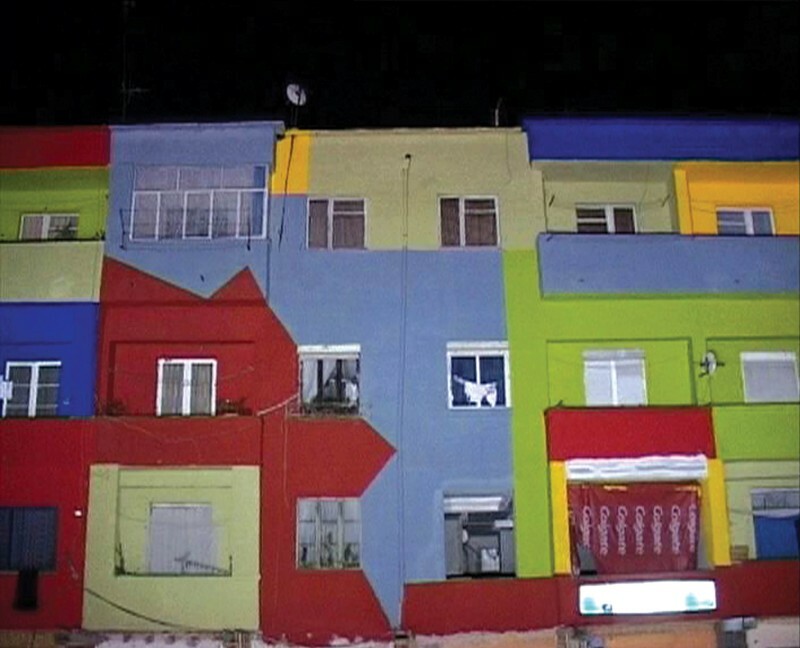 HdB: When thinking about Jorn’s approach to architecture I was reminded of the Urban Independent project by artist/architect Marjetica Potrc, which was carried out around 2002. 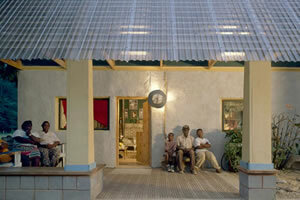 In this project she interconnected five settlements/communities in various parts of the world in a research into “real-life examples of individual initiative in modern global society.” The examples she researched all had in common a re-thinking of “the role of the individual in society (the individual is becoming an equal participant in shaping urban environments), private space (gated communities and shanty towns are among the most successful forms of urban life today); self-reliance (and its link with self-sustaining technologies); ecology (global concerns are transformed into individual practice); and even beauty ( …).” http://www.potrc.org/urbanindependent/ How do you feel these developments relate to Jorn’s thinking? RB: There is definitely a correlation between such movements and what Jorn had in mind when he was searching for a cooperation between artists and architects in the 1940ies. What you righteously point out is his interest in the individual within society and in relation to this, his interest in post-war housing and urbanism. One of his biggest criticism of early modernist concepts is that they were conceived for and from the perspective of the individual, meaning individual celebrated architects on the one hand, and individual housing on the other. In any case it was not targeted towards the society as a whole. But he does not mean that the subjective interest of the individual does not count. It is about empowerment of the individual. About individuals taking control of their lives and taking responsibility of what they are doing. He understands urbanism to be a pragmatic tool of social planning and subsequently, introduces his materialist philosophy into the issues of post-war urban planning. Samuel Mockbee´s rural studio, or projects like “uit je eigen stad” here in the Rotterdam harbour, which is about re-appropriation of our environment for example, or the project with the artistically colored building facades, initiated by the Major of Tirana, Albania are just a few of the many projects that deserve to be mentioned here. In the end, it has to be mentioned that Jorn, really did not provide a coherent theory which was supposed to be “applicable” in architecture and/or urbanism. But his reflections are highly theoretical, interesting and amusing, even though often fragmented and sometimes even confusing and contradictive. HdB: I am sure that in your upcoming book L´Architecture Sauvage. Asger Jorn´s Critique and Concept of Architecture you will be paying a considerable attention to Jorn’s plea for paying attention to irrational needs, such as ornament (Jorn: “the grammar of substance; geometry of matter itself”). Jorn himself (rhetorically) asked if fulfilling such needs must be left to reactionary forces in our midst. What tendencies in architecture nowadays pay attention to the ornament in an interesting way you think? And in what way is ornamentation politicized in the architectural discourse? RB: Indeed, Jorn´s claim for irrational needs provide one of the major arguments of his critique of functionalism in architecture in specific and in modern life in general and the ornament of course plays a central role in this. What is important to mention though is, even if Jorn back in the 1940ies has not seen it like that, as much as the functionalists and rationalists wanted, the ornament was never really banned from architecture, it was denied and therefore often articulated in a different, not necessarily obvious manner. Postmodernist architecture with protagonists like Robert Venturi and Denise Scott Brown, certainly did a great deal for the rehabilitation of the ornament, especially in the US. One of the key modern buildings in Europe, consciously celebrating the ornament and thus making it “socially” acceptable again within the community of architects was Jean Nouvel´s Centre du monde arab, 1981-87, in Paris. 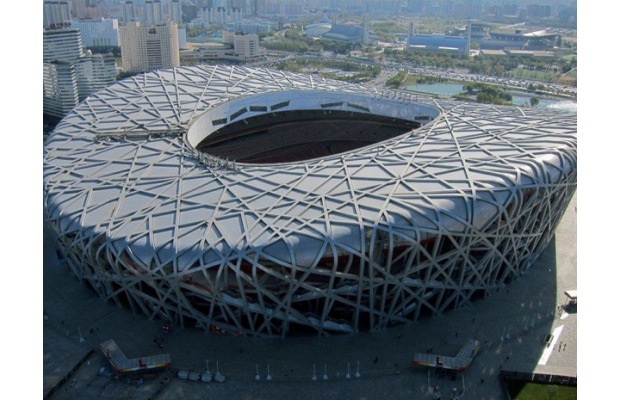 One of the firms that certainly plays with the ornament in a poetic, interesting manner today is Herzog& De Meuron. You are asking me about politicization of ornamentation in the architectural discourse today…? I´m sorry to say but this does not occur to me at all. Architecture today is anything but political, it is a commodity, a service, a status symbol, you name it! HdB: Jorn once said: “If artistic or overarching human cultural values are to be developed, this can only happen at the same time as greater and greater restrictions are placed on the roar coming from the advertisement monster and its appeal to rampant individualism.” (From: Façade-Art – Towards a New Architecture, 1950. 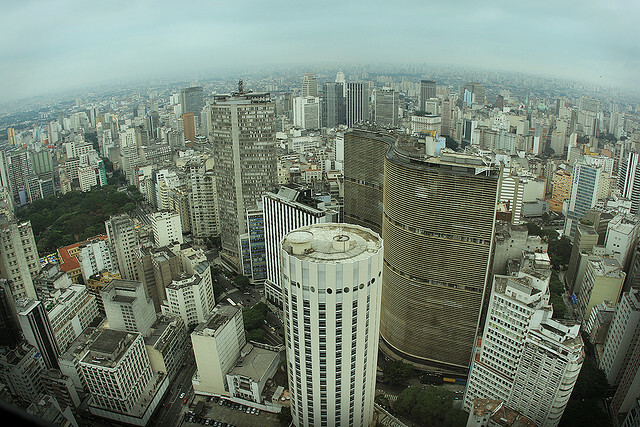 In September of 2007, the city of Sao Paulo banned almost every type of outdoor advertising. Do you happen to be aware of the effects this might have (had) on the city’s architecture, or rather the (collective) experience of it? RB: I do not know of this case and I find it hard to believe that a city of this dimension, would have the muscles to achieve something like that. I happened to be in Sao Paolo last year in fall and to me, this place appears to be an intensification of various different conditions, rather than one city, but anyway. I do know of a similar example, much smaller in scale. A couple of years ago, I was invited to give a lecture on Jorn´s house in Albisola at the DAC (Danish Architecture Center) in Copenhagen, which was in relation to a show called Instant Urbanism. I remember there was an Austrian artist, who painted all advertisement in a street yellow and by doing so, made the public space of the street appear in a very different manner. Our cities would certainly benefit a great deal from actions like that, but before this can happen, we have to get rid of capitalism. Good luck with that one! HdB: Thanks for pointing out the Instant Urbanism project Ruth, I will look into it. The story about Sao Paulo however, really is true though. Obviously, not ALL outdoor advertisement is gone, but it looks like at least they got rid of the billboards. And maybe it concerns one of the city districts only, I am not 100% sure but it doesn’t look like it. This http://www.smartplanet.com/blog/cities/in-billboard-less-city-can-businesses-survive/1431 is a link to an article from 2012 which also goes a little bit into the effects of the ban on new strategies for advertising. I think it is fascinating to see that one individual mayor can establish something whith such impact, and apparently make it last! The downside is that of course companies just find other ways to advertise. I am not sure if I would appreciate to be confronted with other forms of ‘advertisements’ all too often. Although I had a good laugh when I cam across this video on Youtube: http://www.youtube.com/watch?v=Wkys9RmWoU0!